2019 Kendra’s Race Results are out! In 2006, after the death of their teammate and friend, Kendra Payne, the University of California, Santa Barbara (UCSB) Triathlon Team changed the name of their annual triathlon to Kendra’s Race. The race has been held every year since then and each year the UCSB triathlon team generously donates a portion of the entrance fees to the Kendra Chiota Payne Memorial Fund. Kendra Payne was a dedicated student, athlete, and world traveler. On January 11, 2006, while on a UCSB triathlon team training ride climbing up Gibraltar Road in Santa Barbara, she was struck by an asphalt truck and killed. Kendra had an amazing energy and zest for life. She was a global citizen who lived on three continents and visited over 30 countries during her 21-years of life. During high school, Kendra was captain of both her swimming and track & field teams at the Singapore American School (SAS). She participated and was awarded medals annually at this event. In 2006, SAS designated this event as the Kendra Payne Memorial Biathlon, in her memory. Kendra’s parents attended this event in December 2010 and November 2011. At UCSB she became a triathlete and raced in a marathon and numerous triathlons in the US and Australia. Participating in sports was her passion and it was her way of life. It shaped her character and values and gave her self confidence. Kendra was a colorful individual whose strong athletic abilities were matched by her humility. She encouraged others to believe in themselves and inspired them to go after their heartfelt dreams and goals. Her tenacity and generous spirit continue to live on in all of those touched by her life. The swim will start at Campus Point. Athletes will swim out 200m, take a left, swim for another 400m, take another left, and swim 200m back in. They will head up a flight of wooden steps to the transition area. Kendra's Race will feature a two loop, 13.0 mile, fast and flat bike course around the Santa Barbara Airport. 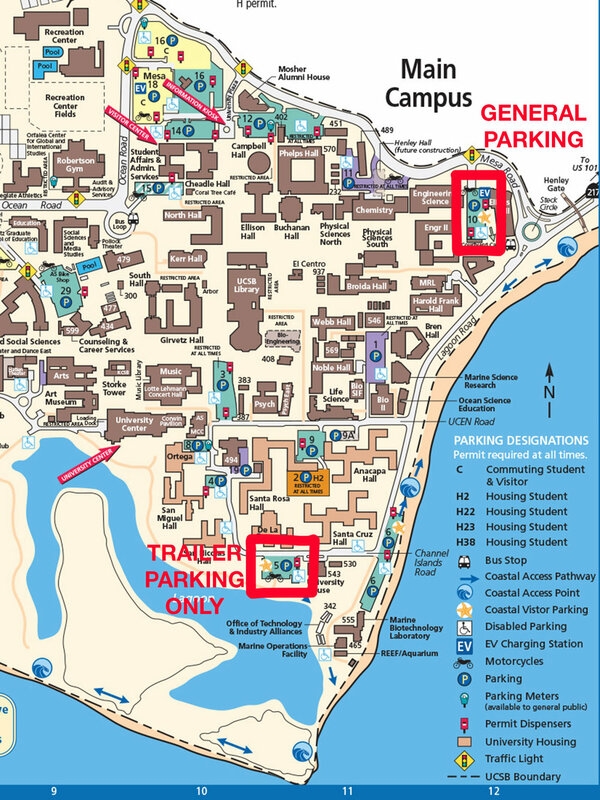 Racers will make their way out of transition and head west through the UCSB campus via the bike path, most of which has been recently repaved. After making their way all the way around the Santa Barbara Airport, cyclists will pass through Goleta Beach and head back onto the bike path towards UCSB. After completing two loops, racers will then head back into transition. Below is a video of the bike course. The run course consists of a 1 loop run over a rolling 5k course. It follows the UCSB lagoon and consists of paved and hard-packed trails. Racers will leave transition and run down to the lagoon. They will run on the trail system on the bluffs before dropping down to the lagoon where they will pass an aid station. Runners will continue along the lagoon to the turn around point. After turning around, runners will follow nearly the same route back before sprinting to the finish in lot 6. The Kendra's Race Finish Area for 2018 will be at the South End of Parking Lot 6. DO NOT PARK GENERAL VEHICLES IN LOT 5. ONLY BIKE TRAILERS WILL BE ALLOWED IN LOT 5. DO NOT PARK IN LOT 6 (ACROSS FROM TRANSITION). Turn onto Mesa road and drive to the end. Make a right at the roundabout onto Lagoon Road. Drive past the transition area and turn right onto Channel Islands Road. The lot is on your left. Continue straight through the roundabout after Henley Gate onto Lagoon Road. Turn onto Mesa Road and continue down until you see Lot 10. The entrance will be on your right (if you make it to the roundabout, you went too far). Make a right at the roundabout after Henley gate onto Mesa Road. Thank you for making this edition of Kendra's Race a huge success! We hope to see you again next year!